This is what almost making it into the Forbidden City looks like. 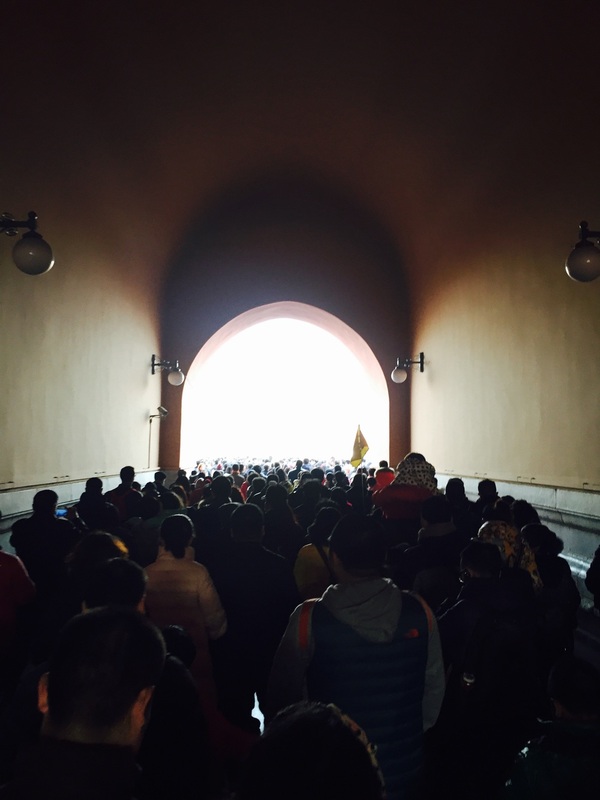 Went in the wrong entrance (Palace Museum), took me 35 minutes to find an exit and loop back around, and by that time, tickets were sold out. 80.000 tickets sold between 8:30-11:30, so I settled on noodles and baozi. If you look carefully at the noodles, you can see the ever-present peace sign that Chinese people throw up in almost every picture.